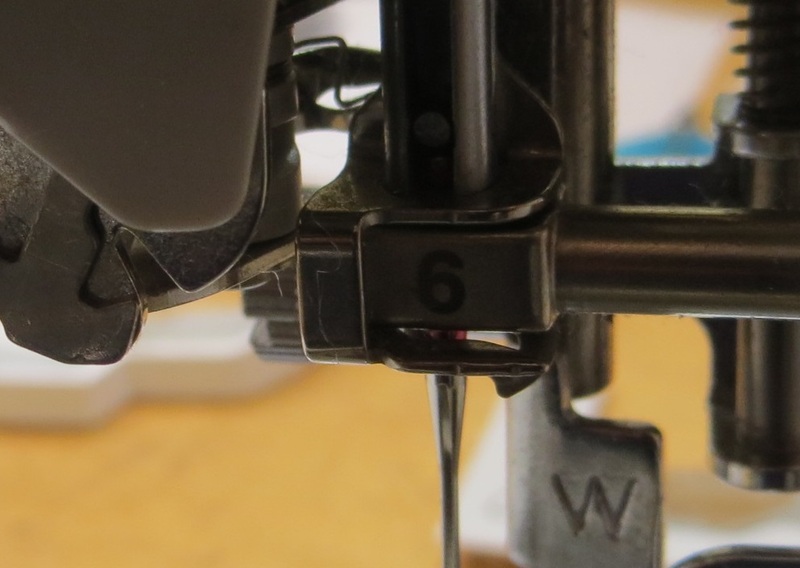 On Brother embroidery machines and higher value sewing machines there is an important thread guide on the needlebar just at the top of the needle (usually listed as number 6 on the machine). 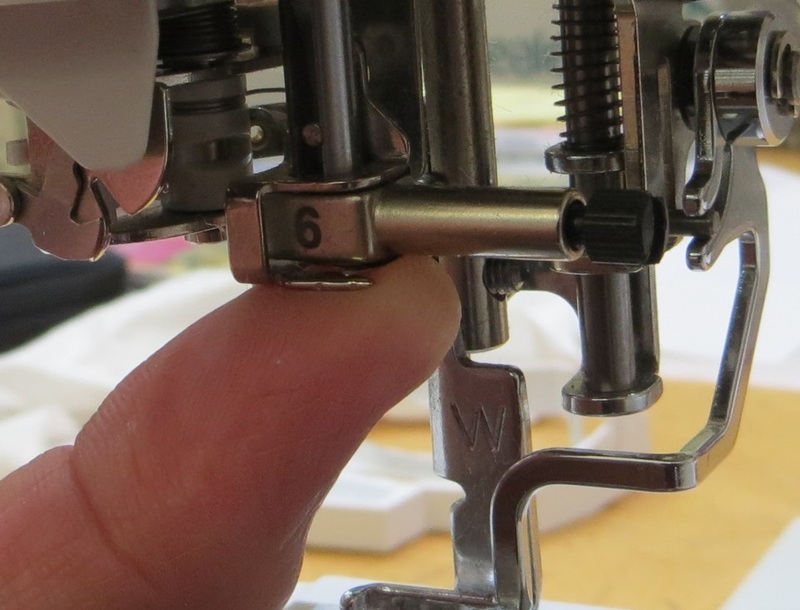 Sometimes the spring clip that holds the thread into the guide can slip out of position when changing a needle and needs to be put back before your needle is inserted. It’s unusual for this clip to move with the needle in position and when you insert a needle it should stay in the correct place. 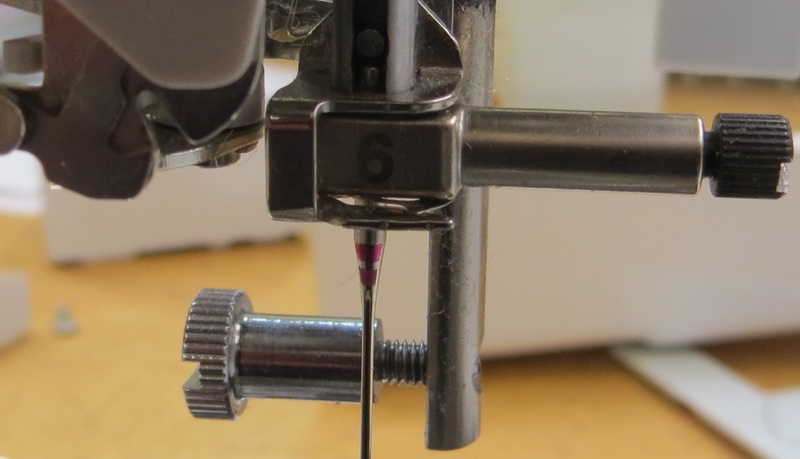 The effect of this being out of position is that your thread will not stay in the guide which causes shredding, snapping and poor stitching so it’s worth taking care when changing your needle and checking the spring if you’re having top thread problems. This needle has been inserted with the spring clip in the wrong position. To put it right you need to remove the needle. Reposition the spring above the metal guide. If the spring immediately flicks back out then push it more firmly into place. 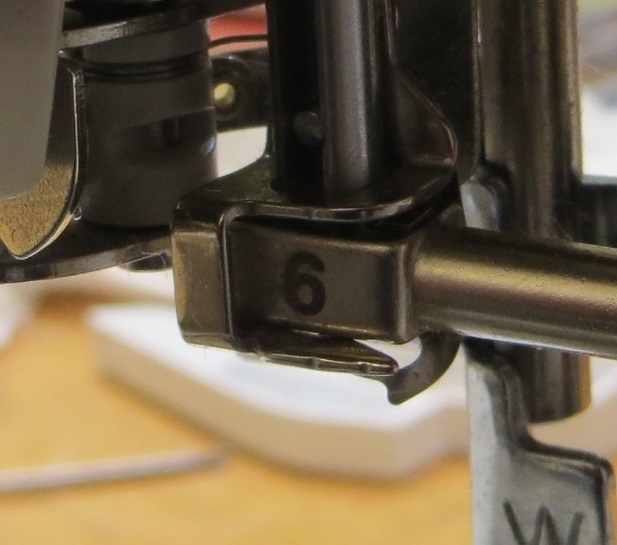 Your needle will help to keep the spring clip in place.